Use the exact marketing strategy we followed to grow our company to over $100,000 a month. 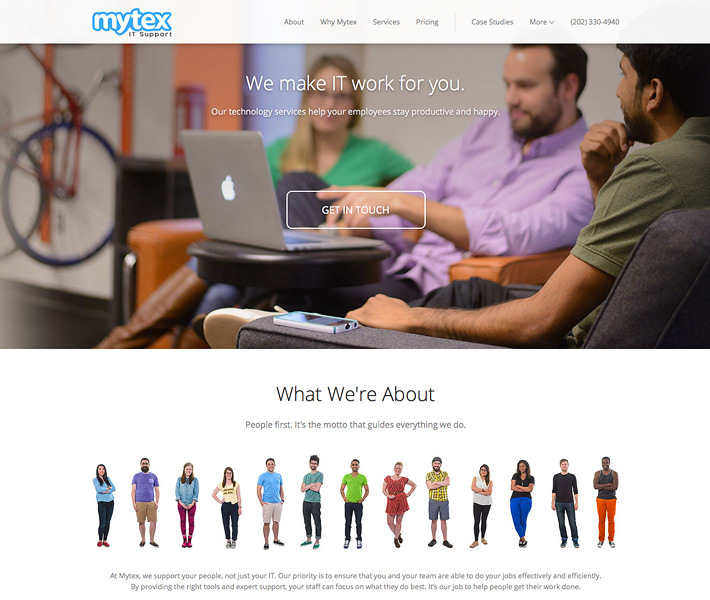 Mytex is a full-service marketing and web design agency. We're a one-stop-shop, providing everything that your business needs to successfully launch, market, and grow your internet presence. People first. It's the motto that guides everything we do. different approach to business because we thrive on what we do. We believe in our clients and we do everything in our power to help them stand out from the crowd. We’re experts at building your online presence. Let's drive some serious traffic to your website. With the right keywords you can turn the browser into a buyer. Have a website created that not only looks great, but also converts your website visitors into paying customers. Get content on demand. Our talented writers create original, relevant, and memorable content just for you. Our team is around to help you out, whether that’s with hosting, upgrades, technical support, or everyday maintenance. Boost sales leads with custom SEO campaigns. Your customers need you, but they may not know you exist yet. Our first job is to get you in their line of sight. Mytex transformed our website into a vital part of our sales efforts, then tailored a search engine optimization campaign, which grew our traffic almost 10 times from a year ago. ... that help generate more sales. If your website doesn't work well on smartphones and tablets, not only do you risk losing customers trying to view your site on the move, your search engine rankings will be impacted. What is the point of having a snazzy website if nobody visits it? Get to the top of Google with our SEO solutions: tailored to your needs and designed to increase your traffic and conversions. Make your own content updates and more. We'll help you to select the best platform for your new website. 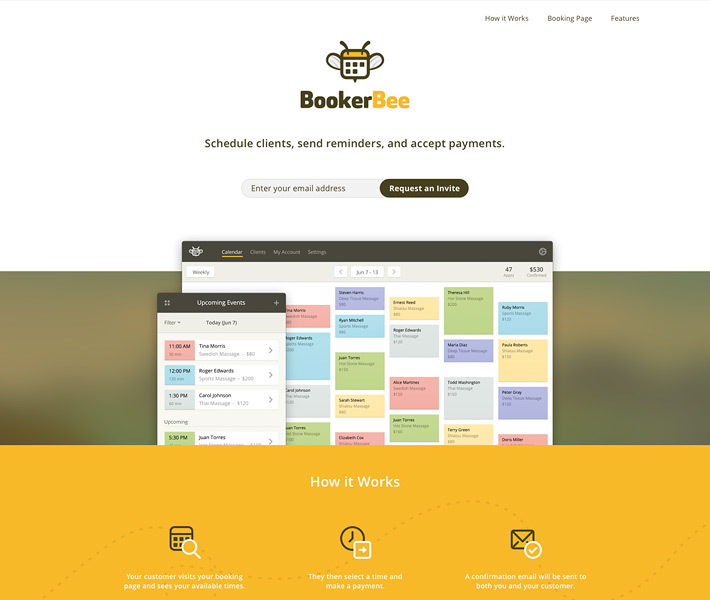 We've worked with a lot of platforms, but WordPress is the best for our customers. I had an outdated website that was in desperate need of an update. I'm completely blown away by the new design! It’s clean, modern, and now expresses the spirit of my business. I’m always getting compliments and couldn't be happier with the results. Content written just for you. Blogging consistently = increased chances of attracting new customers.
" 61% of consumers say they feel better about a company that delivers custom content and are also more likely to buy from that company. " " Year-over-year growth in unique site traffic is 7.8 times higher for content marketing leaders compared to followers (19.7% vs 2.5%). " " Brands that create 15 blog posts per month average 1,200 new leads per month. " " Customers who receive email newsletters spend 82% more when they buy from the company. " Mytex has been a wonderful resource for original content across many topics. They are great at pitching new ideas or taking raw thoughts and building them into well-crafted, effective content.  We love working with small businesses. We have 99.9% of all niches covered. Do I get a say in the content for my blog? How many words are in an article? As standard, our articles are around 500 words. Just long enough to demonstrate the brilliance of your company (and our writing), and short enough that your readers aren’t falling asleep at the helm. What type of CMS do you use? We’ve watched the industry move from custom content management systems (CMS) to open source software. Having worked on pretty much every system out there, we feel that WordPress is the best platform for our customers. Am I held into any horrific contracts? No chance. We’re terrified of contracts too, this is on a month-by-month rolling basis. You can get rid of us any time you want, although we’re pretty sure that’ll never happen.